Water Fall model has been revised later to be Iterative. Everything remains the same as Waterfall Model. Each iteration involves Design Analysis and Implementation as well as verification of the current build/version of the system. 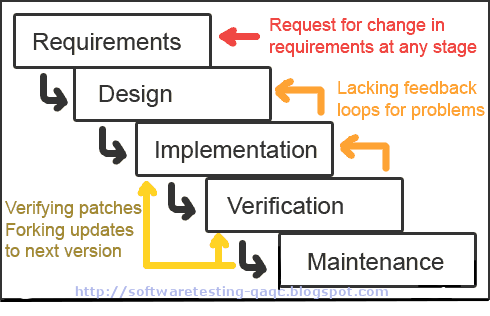 If the application lacks any requirements or has any problems then the phase will be looped back to previous iteration. It supports redesign, acceptance and review of any new requirement. It involves analysis of usability, achievement of goals, reliability, efficiency, and structure. 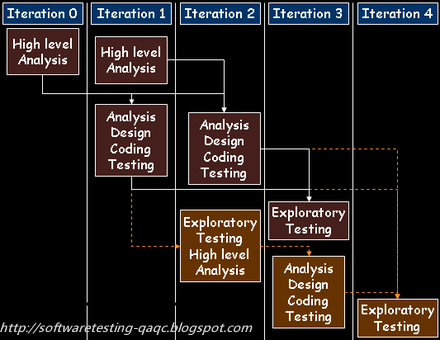 It has many draw backs - each process is iterative and has many problems to meet the project deadlines.